Chosen the top historical mystery of the year by Readers' Favorite. Find it on at least three Amazon best-seller lists. "John Pearce has captured with brio both the excitement and the historical weight of the Nazi project to steal the culture of their enemies." The original story of gold, stolen art, and romance. The exciting sequel to Treasure of Saint-Lazare. Eddie Grant gets one last chance to find and punish the prince of darkness who had his father, wife and son killed years before. A tale of the lust for gold and power played out in the drawing rooms of Paris, with a satisfying ending on the Seine. Third in the Eddie Grant Series of thrillers, Finding Pegasus brings new characters and a new plot - Two engineers have developed a new super-smart submarine for the government. 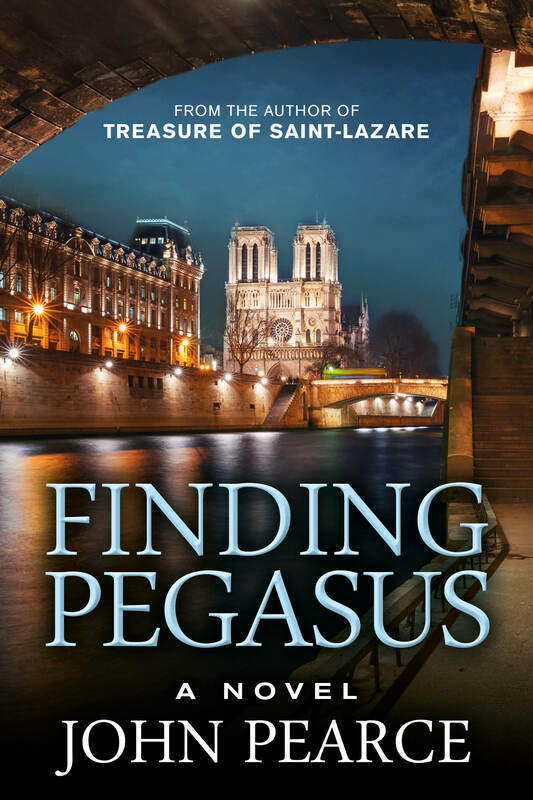 They narrowly escape death when their boat explodes, then head for Paris to find Pegasus and Icarus. My name is John Pearce, and I write the Eddie Grant series of thrillers. Paris is my thing. See all my books in one place here. Paris photographer Alison Harris made this portrait on Pont Neuf, at the foot of the Île de la Cité. I also blog at Part-Time Parisian. 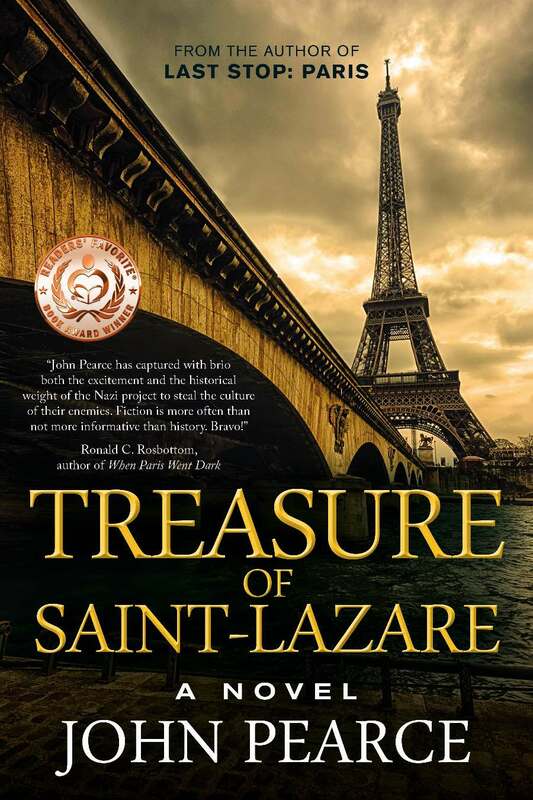 Face-paced thriller spanning the globe from Paris to the states, Treasure of Saint-Lazare takes off with the hit and run murder of a former partner of Eddie Grant's late father. The two were Monuments Men, American soldiers who attempted to recover stolen artwork from the Nazi's. Eddie and Jen, his former flame, investigate the crime discovering it may be linked to a tragedy in Eddie's family from years ago. Reminiscent of Steve Berry's The Amber Room, Pearce takes the reader on an action-packed journey from Paris's glittering streets to Florida's Sarasota, the scene of the opening murder, searching for answers. A nice blend of history, art, and action. 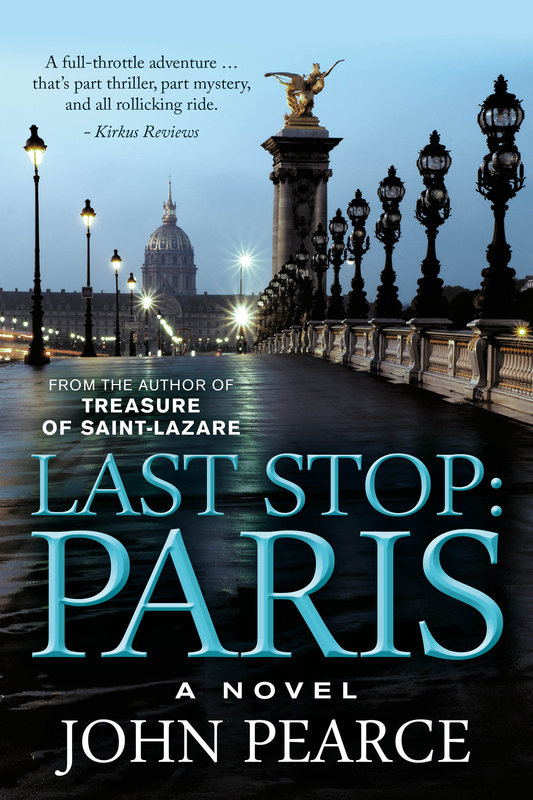 Treasure of Saint-Lazare set a high bar for international mystery, but Last Stop: Paris, easily meets and surpasses it. This novel captures the very soul of contemporary Europe, crossing borders with apparently effortless aplomb. And his enterprising character, Eddie Grant, continues to fascinate with his combination of European sophistication and American ingenuity. But Paris too is a main character; Pearce must know that city even better than he knows the back of his hand. Finding Pegasus is a sophisticated tale of international intrigue and contemporary politics, super-charged on espresso. A boat explosion in Miami and a murder on the bank of the Seine set this quick-paced thriller in motion. Eddie Grant and his pals piece together the resulting jigsaw puzzle. Like John Pearce's first two Eddie Grant novels, this one is crafted with a fine ear for dialogue and keen observations on place and politics. An enjoyable and satisfying read.